One of the largest ecosystems in the world is at risk because human activity along its borders has increased fourfold. 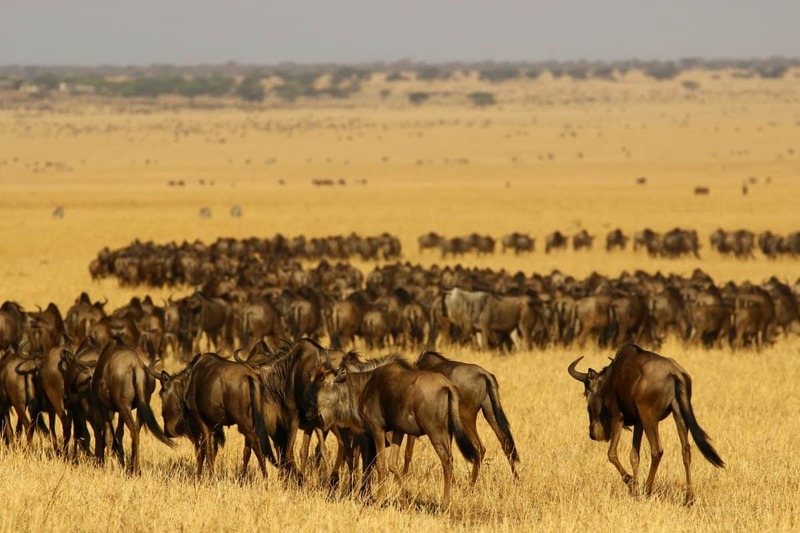 Iconic animals such as wildebeest, zebra, and gazelles are threatened by surge in human population on the borders of the Masai Mara and Serengeti national parks. The Serengeti-Mara spans 40,000 square kilometres across Tanzania and Kenya and is the focus of mass migrations. The absence of these fires changes vegetation and alters grazing opportunities for other wildlife. These effects are cascading down the food chain, according to the study, and favouring less palatable plants. This alters the interaction between plants and microorganisms that enable the ecosystem to capture and utilise essential nutrients. The authors conclude that even for reasonably well-protected areas like the Serengeti and Mara, alternative strategies may be needed to facilitate the co-habitation of local people and wildlife. Dr Michiel Veldhuis, lead author of the study from the University of Groningen, said: “There is an urgent need to rethink how we manage the boundaries of protected areas to be able to conserve biodiversity. Dr Colin Beale, from the University of York’s Department of Biology, said: “Protected areas across East Africa are under pressure from a wide range of threats. Dr James Probert from the University of Liverpool said: “It is clear that even large protected areas, with strict restrictions on what human activities can take place, can be indirectly affected by human populations at their boundaries. Dr Joseph Ogutu from the University of Hohenheim said: “The intense compression of a large protected area, such as the Serengeti-Mara, should ring alarm bells because most other protected areas are far smaller in size and therefore experience even more intense pressures from human activities impinging on their borders. Dr Simon Mduma, Director of the Tanzanian Government’s Wildlife Research Institute added: “These results come at the right time, as the Tanzanian government is now taking important steps to address these issues on a national level.